If you follow my blog you must know by know that Etude House and TonyMoly are probably my favourite Korean beauty brands. So when these superboxes were released, I just couldn't pass them up. Let's see what was inside each one of them. 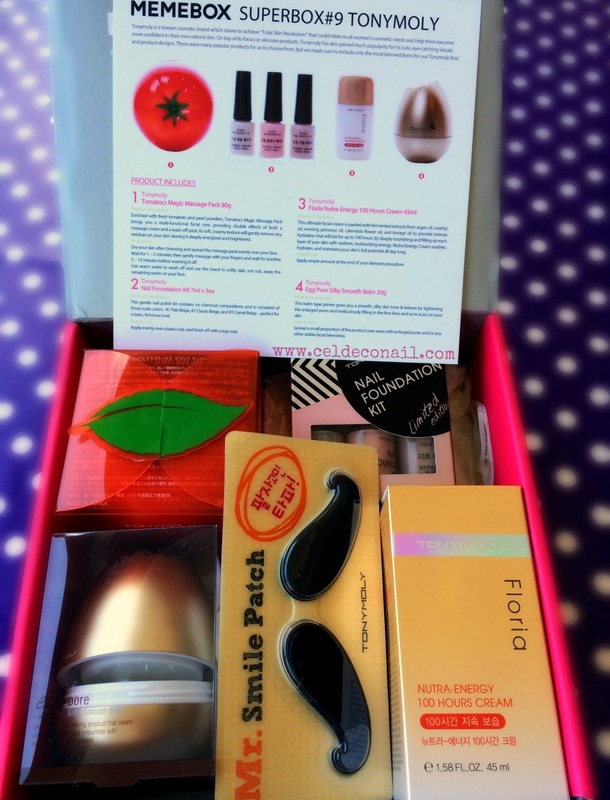 A great box all in all as I didn't have any of the products included. My favourite of course is the nail polish (for obvious reasons ^_^) and the lip tint. I am also intrigued to try the primer essence and the cream pact. The packaging reminded me a bit of cushions that are so in right now and I have to say I have never seen or tried a cream pact before. I don't use highlighters much but I am going to try this one for sure. The only thing I won't be using is the eye shadow as gold is a colour I never wear. Etude House is a great brand and probably the most well known Korean Beauty brand so if this box is restocked I highly recommend it. Lots of great products in this one too. Let's see them one by one. 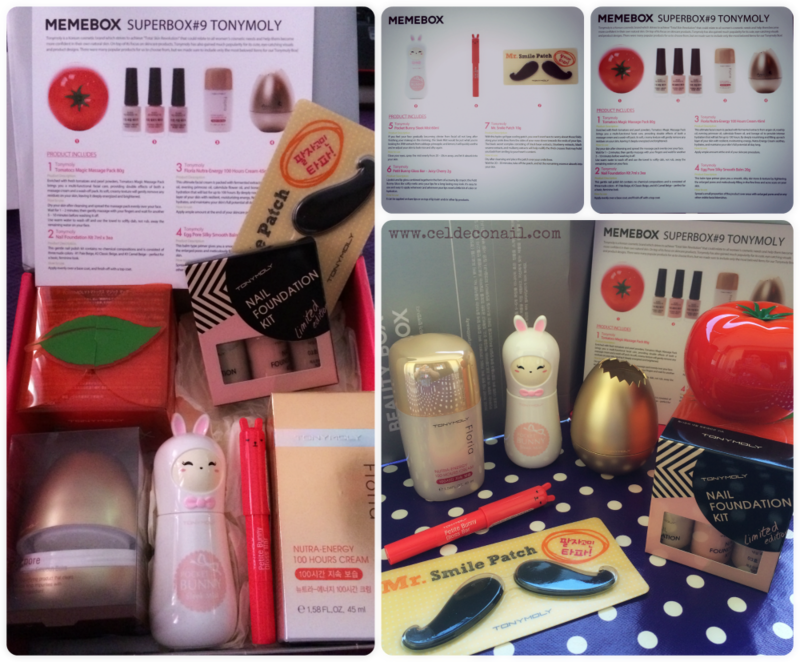 Unlike the Etude House one, this box included a few favourites of mine that I have been using already, including the Bunny mist, the Tomatox massage pack and the petit Bunny gloss bar. I was pleased to have backups of these, especially the mist as it is an essential summer product in my opinion. I was very excited to find the Egg pore balm and the Floria cream as they were in my wish list and now I can cross them off. And I never say no to nail polishes as you know. As for the smile patch, I will try it at some point too. What do you think of these two brands dear readers? Have you tried them? And if so what are your favourite products? Have you tried any of the products in this post? 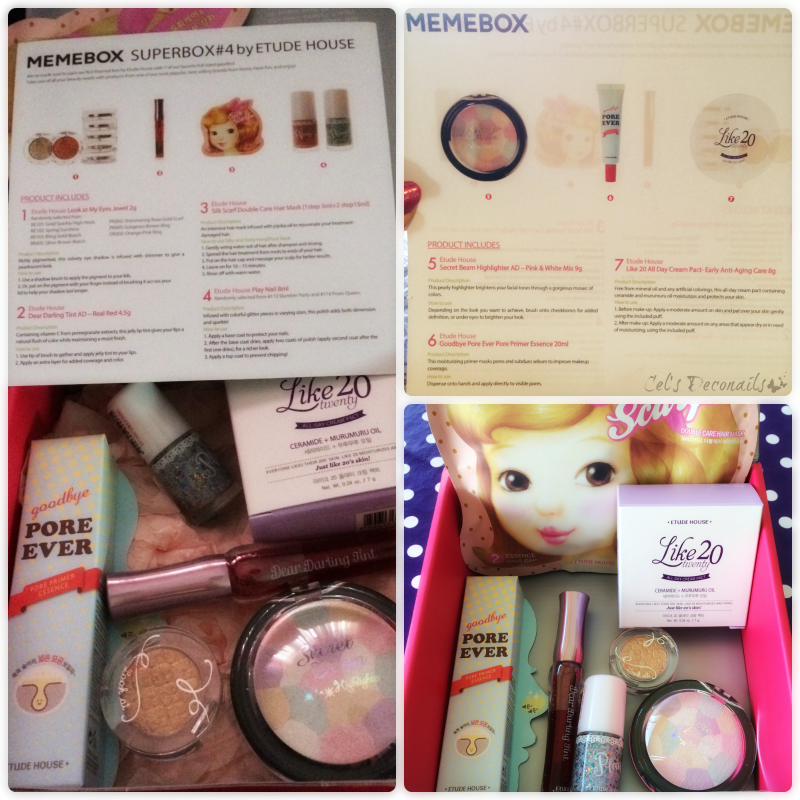 If you want to order a Memebox too, you can follow the banner on the right side of my blog to get a discount :) You can also read my previous Memebox related posts here. Great boxes, both of them! 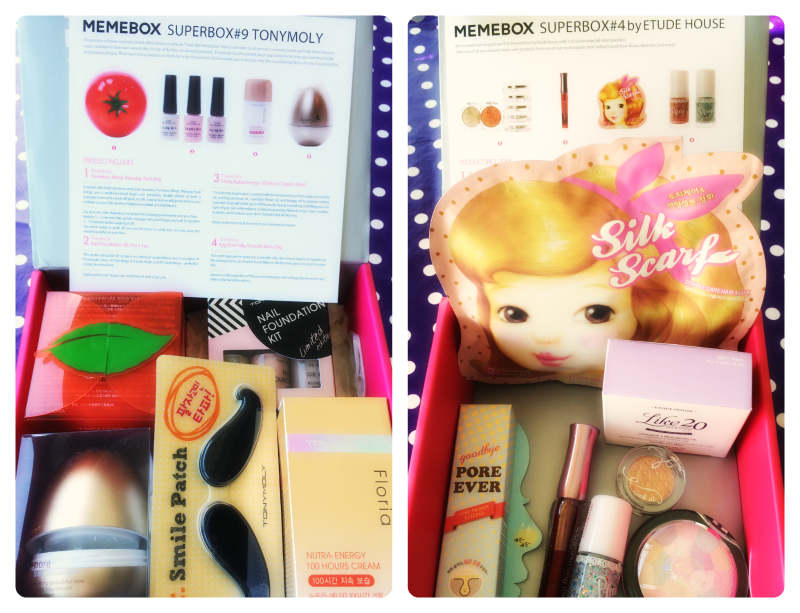 I'm waiting for my first memebox to arrive and I have about a dozen others in my wishlist :D I haven't tried these brands so a memebox is a great way to try them!